The subject of this Agreement consists of setting forth and determining the respective rights and obligations of the Parties with respect to the sales and delivery of the goods/services ordered by the Buyer from over the web site www.gourmeturca.com belonging to the Seller on the electronic media, with characteristics referred to in the Agreement and the selling price specified in the Agreement as well, pursuant to Law No. 6502 on Consumer Protection and law No. 29188 regarding Regulation On Distance Contracts. The Buyer agrees to and acknowledges under the provisions of this Agreement that it is informed about the basic specifications, selling price, form of payment, terms of delivery, etc. with respect to the goods/services subject matter of the sales, any and all kinds of preliminary data regarding the goods /services that constitute subject matter of the sales, as well as about the right to “withdrawal”, that it has confirmed the aforesaid data on electronic media, and thereafter placed an order for such goods/services. Preliminary notification and the invoice appearing on the web site www.gourmeturca.com, are integral parts of this Agreement. Type and sort, quantity, brand/model, color and selling price inclusive of any and all taxes of the goods/services are as specified in the particulars contained in the identification page for such goods/services on the web site titled www.gourmeturca.com, and as indicated on the invoice that is deemed an integral part of this Agreement. The right of withdrawal is not valid for food products in terms of the Turkish Code of Commerce. 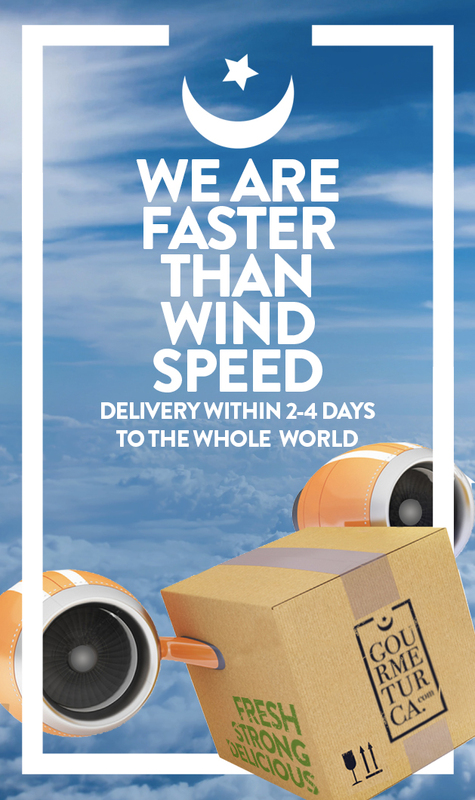 Nonetheless, we are attentive to your needs, you can send back your products which have not flown in or broken up while shipping. In the event that you should change your address after sending your order or when your order falls behind on your specific dates, the right of withdrawal will not be accepted. You have the right to return your order when the parcel is damaged during the delivery process or the parcel falls apart harming the quality of the product. We will give your whole money back in the case you want to return your order or we will redeliver the product free of charge at your own sweet will.